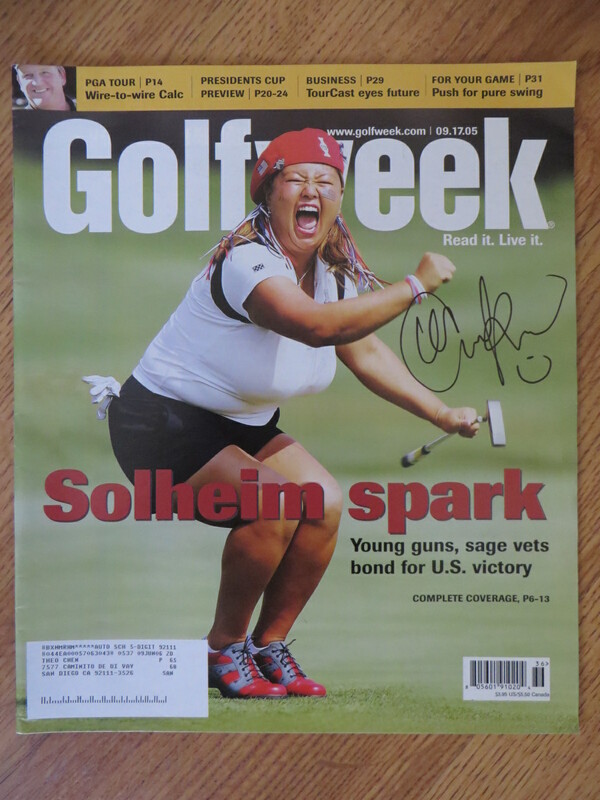 Complete 2005 Golfweek magazine (oversized) commemorating the U.S. Solheim Cup victory autographed in black marker by LPGA star Christina Kim. Obtained in person, with certificate of authenticity from AutographsForSale.com. ONLY ONE AVAILABLE FOR SALE.